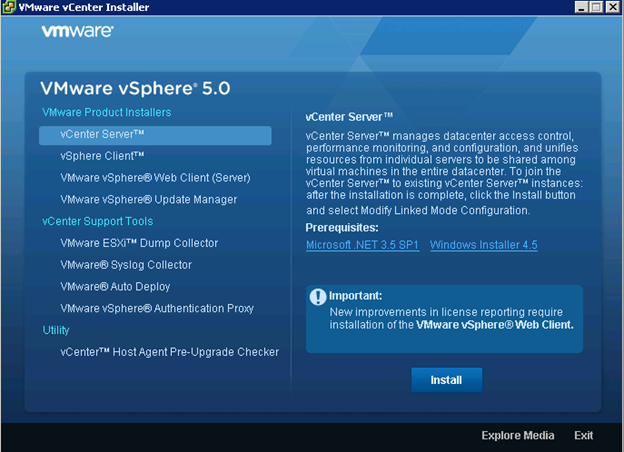 Installing VMware VCenter 5.0 is quite easy and it can be installed on Windows Server. 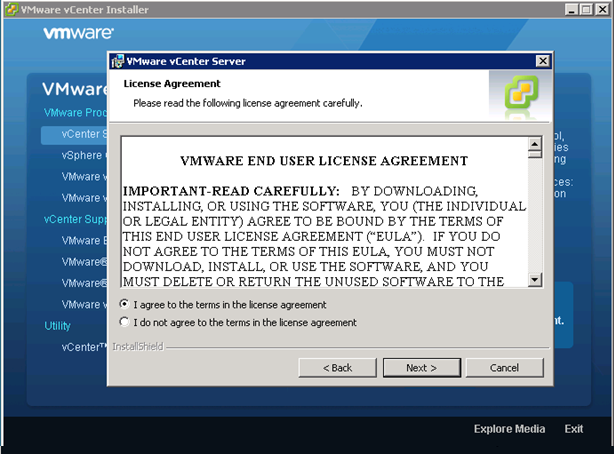 To install, follow the below steps. 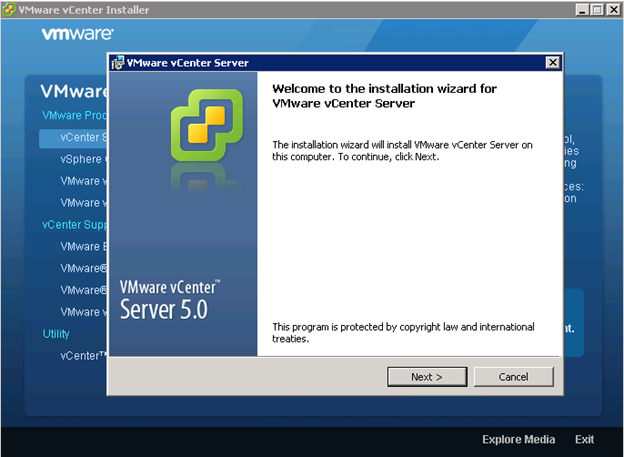 Ensure that your Windows Server has joined a Domain where you will be installing VMware VCenter 5.0. 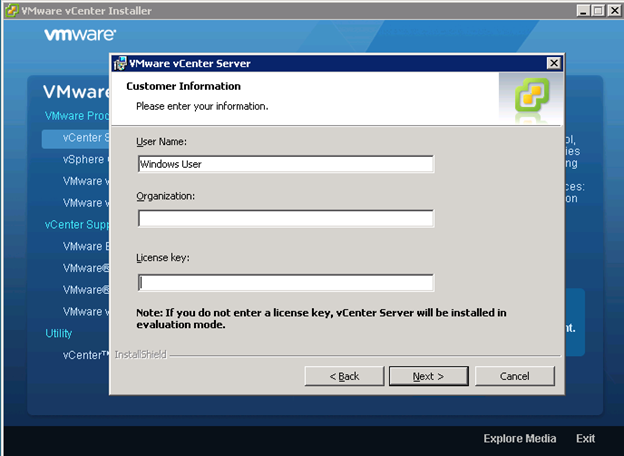 Download VMware VCenter 5.0 on the windows server. 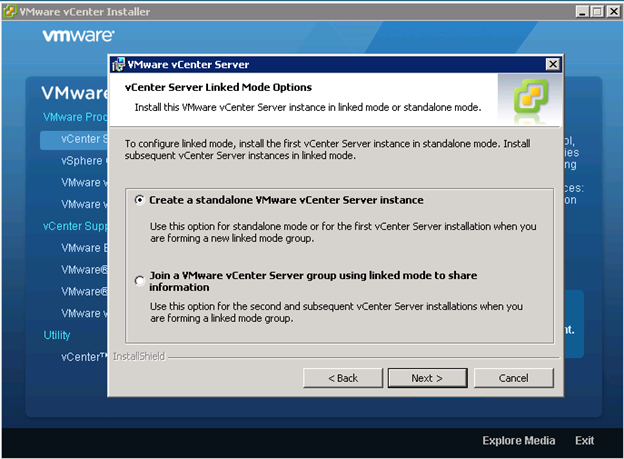 Launch VMware VCenter Installer on the windows machine. Select VCenter Server and Click on Install. 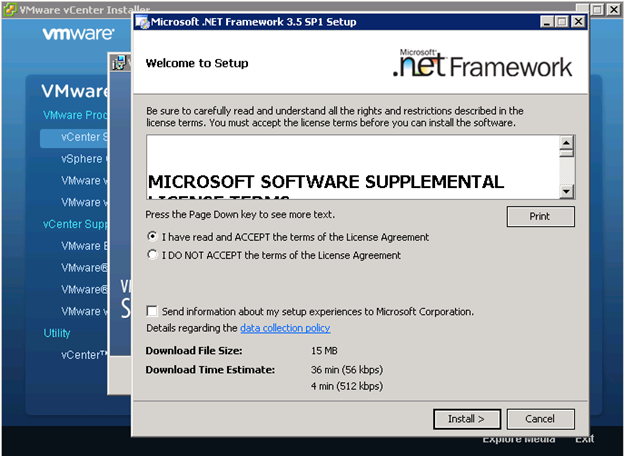 When .Net Framework Installer Screen appears Radio Check “I have read and Accept…License Agreement” and Click on Install. 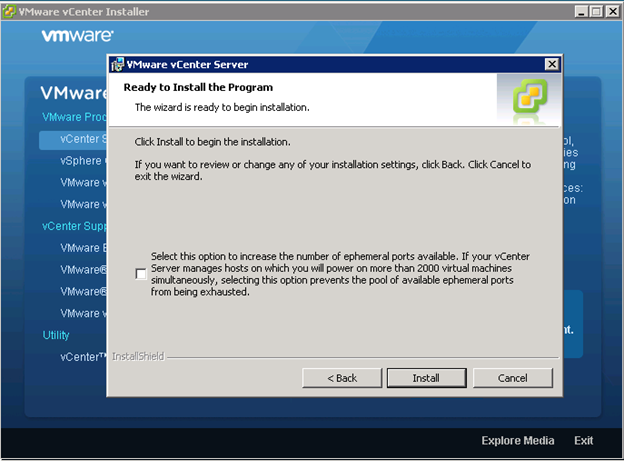 Click on Next when “Welcome to the installation wizard for VMware VCenter Server Server” screen appears. 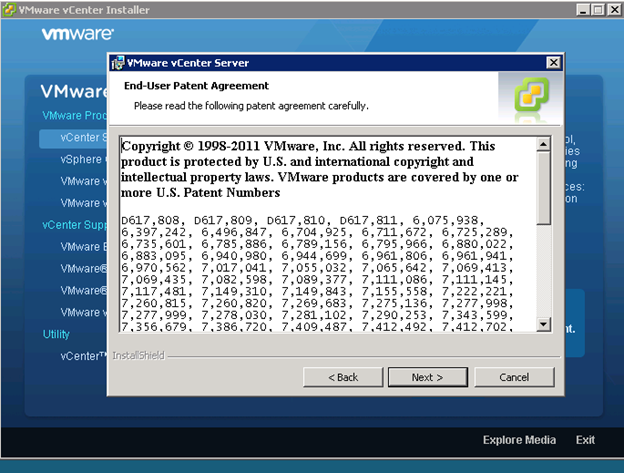 Click on Next when “End User Patent Agreement” screen appears. Enter “User Name”, “Organization” and “License Key” when Customer Information Screen Prompted and click on Next. If you don’t have a license, do not enter a license and click next to proceed. Your software will be installed as a trial version. 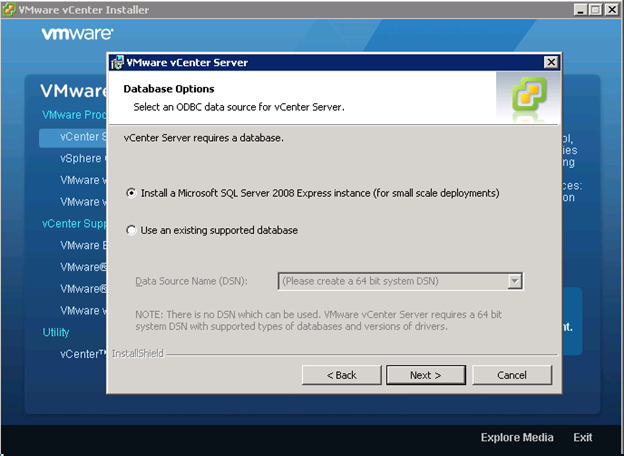 Radio Check “Install a Microsoft SQL Server 2008” when Database Options screen is prompted. and click on Next. (If you have existing SQL database, radio check “Use and Existing supported database”. Check Mark “Use System Account” if you would like to use your Windows Server user credentials and click on Next. Else you can create a new one to be used for Login. 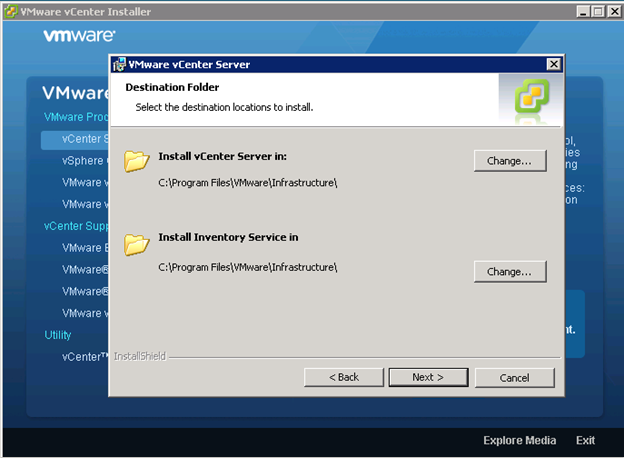 Select destination folder if you don’t want to use the one defined by VMware and click on Next. Change the Ports if you wish to, else click on Next to use the default ports. Change the Ports if you wish to, else click on Next to use the default ports for Inventory Service. 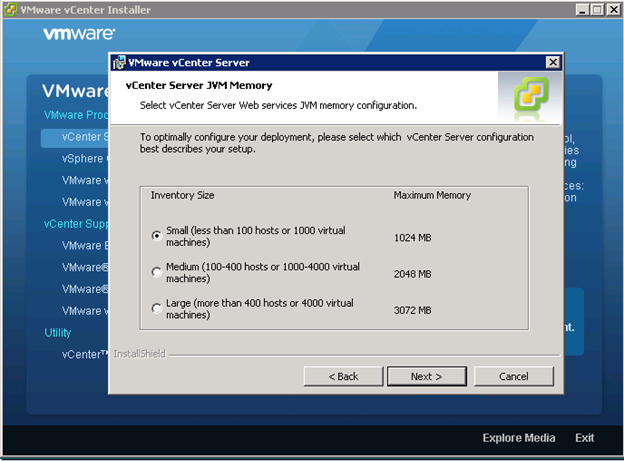 Select your Inventory size accordingly as per your configuration and click on Next when “VCenter Server JVM Memory” screen is prompted. Click on Install when “Ready to Install the Program” screen is prompted. 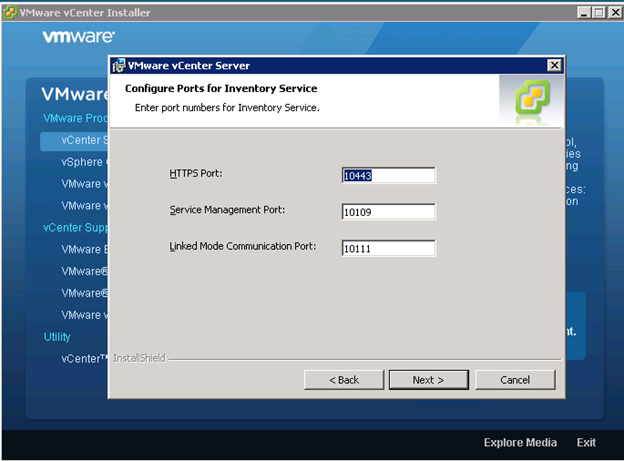 Now use VMware VSphere Client to Login to VMware VCenter Server. That’s all !! 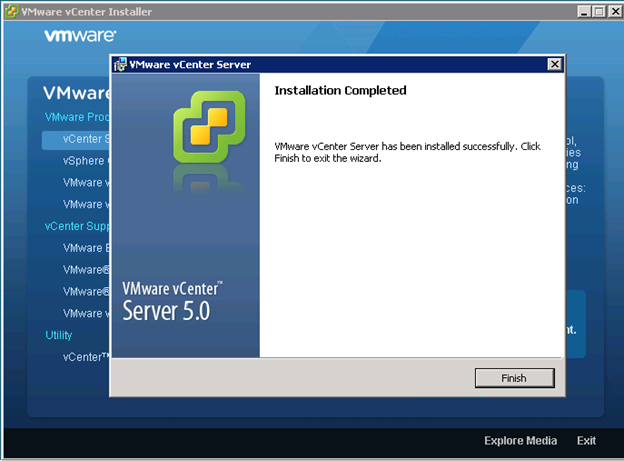 Your VMware VCenter Installation is completed.